IAC posts 9 updated translations of its popular “Screening Checklist for Contraindications to Vaccines for Adults"
Still available! IAC's sturdy laminated versions of the 2018 U.S. child/teen immunization schedule and the 2018 U.S. adult immunization schedule—order a supply for your healthcare setting today! 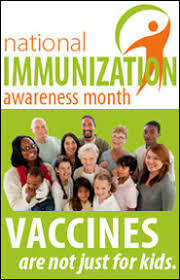 CDC has recently updated its General Best Practice Guidelines for Immunization with several changes. The page numbers correspond to the version in the PDF format. Page 52 (Table 4-1): Three precautions have been removed from the DTaP row under contraindications and precautions. These precautions include collapse or shock-like state (i.e., hypotonic hyporesponsive episode) within 48 hours after receiving a previous dose of DTP/DTaP; seizure ≤3 days after receiving a previous dose of DTP/DTaP; and persistent, inconsolable crying lasting ≥3 hours within 48 hours after receiving a previous dose of DTP/DTaP. Page 56 (Table 4-1): “Use of aspirin or aspirin-containing products” has been removed from the varicella row under contraindications and precautions. This recommendation is now harmonized with the adult schedule and includes an accompanying footnote that explains the circumstances behind waiting for 6 weeks after varicella vaccine to receive aspirin or aspirin-containing products. CDC's new List of Errata/Updates web page provides a list of errata and updates that have been made to General Best Practice Guidelines for Immunization: Best Practices Guidance of ACIP. The list is updated whenever it is determined changes are necessary. July 29–August 4—Back to School: Ready for school? Make sure those vaccine records are up to date! The "View All Materials" web pages in the Handouts section of IAC's website are the place where you can find more than 300 handouts for patients and healthcare professionals, including educational materials, patient handouts, and slide sets. Opening the "View All Materials" tab on the Handouts for Patients and Staff page allows you to sort and view the handouts by title, language, date of most recent update, item number, handouts for patients, and educational materials for staff. CDC published World Hepatitis Day—July 28, 2018 in the July 20 issue of MMWR (page 773) which features a report on progress toward access to hepatitis B treatment worldwide. The first paragraph is reprinted below. World Hepatitis Day is commemorated each year on July 28 with the goal of promoting awareness and inspiring action to prevent and treat viral hepatitis. The World Health Organization’s (WHO) theme of this year’s World Hepatitis Day is “Test. Treat. Hepatitis” to underscore the urgent need to scale up testing and treatment activities. CDC published Access to Treatment for Hepatitis B Virus Infection—Worldwide, 2016 in the July 20 issue of MMWR (page 773–7). The summary is reprinted below. View Access to Treatment for Hepatitis B Virus Infection—Worldwide, 2016 in HTML format. The HPV Vaccine Is Cancer Prevention Champion Award is given annually by CDC, the American Cancer Society (ACS), and the Association of American Cancer Institutes (AACI). This award recognizes clinicians, clinics, practices, groups, and health systems that are going above and beyond to foster HPV vaccination among adolescents in their communities. This year, up to one Champion from each of the 50 U.S. states, 8 U.S. Territories and Freely Associated States, and the District of Columbia will be recognized. State and territorial immunization program managers will coordinate the nomination and review process, and then send their nomination to CDC for final review. The 2018 award recipients will be announced in the fall of 2018. Champions will be featured on CDC’s website and in the #PreteenVaxNews e-newsletter. Champions will also receive a congratulatory letter from AACI, ACS, and CDC, an HPV Vaccine Is Cancer Prevention Champion plaque, and a digital web badge for their websites. Nominations are due by August 10. Click on the graphic below to find out more about nominating an HPV Champion. IAC recently posted 9 updated translations of its Screening Checklist for Contraindications to Vaccines for Adults. The second page of each now matches the English-language version. The first page is intended for a patient to complete, while the second page—in English—provides an explanation of why each question is asked as a reference for the patient's healthcare provider. UNICEF published a press release on July 16, reporting a record 123 million infants were immunized globally in 2017. Portions of the press release are reprinted below. 9 out of every 10 infants received at least one dose of diphtheria-tetanus-pertussis (DTP) vaccine in 2017, gaining protection against these deadly diseases. An additional 4.6 million infants were vaccinated globally with three doses of the diphtheria-tetanus-pertussis vaccine in 2017 compared to 2010, due to global population growth. 167 countries included a second dose of measles vaccine as part of their routine vaccination schedule and 162 countries now use rubella vaccines. As a result, global coverage against rubella increased from 35 percent in 2010 to 52 percent. The human papillomavirus (HPV) vaccine was introduced in 80 countries to help protect women against cervical cancer. Newly available vaccines are being added as part of the life-saving vaccination package—such as those to protect against meningitis, malaria and even Ebola. Despite these successes, almost 20 million children did not receive the benefits of full immunization in 2017. Of these, almost 8 million (40 percent) live in fragile or humanitarian settings, including countries affected by conflict. In addition, a growing share are from middle-income countries, where inequity and marginalization, particularly among the urban poor, prevent many from getting immunized. WHO published a report from the meeting of the Global Advisory Committee on Vaccine Safety, held on June 6–7, 2018, in the July 20 issue of its Weekly Epidemiological Record. The report is titled Global Advisory Committee on Vaccine Safety, 6–7 June 2018. CDC recently posted the travel alert, Extensively Drug-Resistant Typhoid Fever in Pakistan. The ongoing outbreak involves extensively drug-resistant (XDR) typhoid fever in Pakistan that does not respond to most antibiotics. During 2018, cases have been reported in the United Kingdom and in the United States among travelers returning from Pakistan. Find additional information on other vaccines and precautions for travelers to Pakistan on CDC's Health Information for Travelers to Pakistan, Traveler View web page. CDC published Notes from the Field: Widespread Transmission of Circulating Vaccine-Derived Poliovirus Identified by Environmental Surveillance and Immunization Response—Horn of Africa, 2017–2018 in the July 20 issue MMWR (pages 787–9). The first two paragraphs are reprinted below. After the declaration of eradication of wild poliovirus type 2 in 2015, all countries using oral poliovirus vaccine (OPV) switched from using trivalent OPV (tOPV) (containing vaccine virus types 1, 2, and 3) to bivalent OPV (bOPV) (containing types 1 and 3) in April 2016. Vaccine-derived polioviruses (VDPVs), strains that have diverged from the live vaccine virus during prolonged circulation, can emerge rarely in areas with inadequate OPV coverage and can cause outbreaks of paralysis. Before the global switch from tOPV to bOPV, many circulating VDPV (cVDPV) outbreaks identified globally were caused by type 2 cVDPV (cVDPV2). After the switch, two large cVDPV2 outbreaks occurred in 2017 in the Democratic Republic of the Congo (continuing in 2018) and Syria. Somalia, Kenya, and Ethiopia make up much of the Horn of Africa. Performance indicators for acute flaccid paralysis (AFP) surveillance, an indicator of the sensitivity of surveillance to detect a case of polio, indicate some subnational gaps in these countries, including in areas of Somalia that are inaccessible for polio vaccination activities. Sixteen environmental poliovirus surveillance (sewage sampling) sites have been established in these countries to supplement AFP surveillance. Access Widespread Transmission of Circulating Vaccine-Derived Poliovirus Identified by Environmental Surveillance and Immunization Response—Horn of Africa, 2017–2018 in HTML format. IAC's laminated versions of the 2018 U.S. child/teen immunization schedule and the 2018 U.S. adult immunization schedule are covered with a tough, washable coating; they will stand up to a year's worth of use in every area of your healthcare setting where immunizations are given. Both schedules are eight pages (i.e., four double-sided pages) and are folded to measure 8.5" x 11". The August 1 webinar will cover "Rotavirus and Hepatitis A" and include a live Q&A session. Recordings of sessions will be available online within 2 weeks after each webinar. All sessions begin at 12:00 p.m. (ET). Continuing education will be available for each event. You can also order a soft-cover copy of this book from the Public Health Foundation for $40 plus shipping and handling. CDC will present a one-hour Current Issues in Immunization NetConference on August 7 at 12:00 p.m. (ET). The speakers will provide healthcare professionals with an update on influenza for the 2018–2019 season. The NetConference will be moderated by Andrew Kroger, MD, MPH, medical officer, National Center for Immunization and Respiratory Diseases (NCIRD), CDC, and feature Lisa Grohskopf, MD, MPH, medical officer, Influenza Division, NCIRD, CDC, as the speaker. ACIP recently posted the video presentations from the ACIP meeting held June 20–21. A summary of the recommendations approved during the meeting is reprinted below. ACIP will hold its next meeting on October 24–25 in Atlanta. To attend the meeting, ACIP attendees (participants and visitors) must register online. The registration deadline for non-U.S. citizens is September 26; for U.S. citizens, it's October 10. Registration is not required to watch the meeting via webcast or listen to the proceedings via phone. The 2018 Nevada Health Conference, supported by the Nevada State Division of Public and Behavioral Health, will be held October 15–16 in Reno. This year’s theme is “Paving the Path to a Healthy Nevada.” The two-day conference offers concurrent workshop sessions and opens with keynote speaker and pediatrician, Nathan Boonstra, MD, FAAP, on day one. On day two of the conference, intensive general mini sessions provide in-depth and focused training opportunities. The National Foundation of Infectious Disease's (NFID) Fall 2018 Clinical Vaccinology Course will be held November 9–10 in Bethesda, MD. This 2-day course focuses on new developments and issues related to the use of vaccines. Expert faculty provide the latest information on vaccines, including updated recommendations for vaccinations across the lifespan, and innovative and practical strategies for ensuring timely and appropriate immunization. Continuing education credit is available for attendees. The National Foundation for Infectious Diseases (NFID) invites abstract submissions of clinical best practices for poster presentation. Abstracts will be peer-reviewed for quality, originality, and overall impact. Accepted abstracts will be scheduled as poster presentations at the course. The deadline for submissions is September 10. Medical Students Tackle Vaccination Reform: Students from Rutgers New Jersey Medical School recently submitted a policy proposal centered on reforming vaccination practices to the New Jersey legislature (bills A-3818 and S-2173). The video and statements associated with the video represent the medical students' views and explain their advocacy as part of their campaign to increase awareness about the New Jersey bill. A Medscape login is required.